Anyone who studies the topic of time and the end of Sunday laws, they must know that hard times are ahead. There are several verses that persecution will occur, but note that each of these verses has two parts - God's prediction that there will be persecution, and then the promises of God for the faithful. Persecution took place in various forms since time immemorial. All those who serve God, to meet with opposition of Satan and his helpers. And now Satan is a very limited time, and he knows he has a short time. Revelation 12.12. Daniel 12.1 - In that time shall arise Michael, the great prince and protector of your people. Time of trouble occurs when what has been since becoming a nation. At that time your people shall be saved - everyone who is enrolled in the book. Matthew 24,9-13 - Then you will worry and kill because of my name and you will be hated by all nations. At that time many will fall away and betray one another and hate, and many false prophets shall rise and shall deceive many. And since spread wickedness, the love of many has cooled. But who endures to the end will be saved. Revelation 2.10 - Nothing to fear what you have endured. 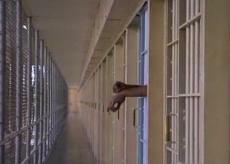 Behold, the devil will throw some of you into prison, to be tested, you will have tribulation for ten days. Be faithful until death, and I will give thee a crown of life. Do you think we will persecute religious people, and criminals? But the Bible has predicted that the most cruel persecution is from the "Christians" who will even think that he is God. John 16,1-4 - This, I told you you led astray. Excommunicate you from the congregation. Yes, comes the time when anyone who will kill you, will think that by serving God. They do it because they have not known the Father nor me. I have told you that you remember at the time that I told you. Some lost their property. Many will experience poverty after its publication, that he who follows God's Sabbath, can not buy or sell. But hardest of all will be split in the family and dearest friends estrangement. Matthew 10.36-37- Man will have enemies in our own family. Who loves father or mother more than me is not worthy of me. Who loves son or daughter more than me is not worthy of me. When considering evidence of cooperation between the United States and the Vatican, we know that this time is not far away. We rely on the certainty that God loves us, and let whatever happens, stay with us and lead us into the kingdom of glory. We do not have to worry about the future because God has promised that it will be with us. Quote: "There is always a chance that we get into trouble and personal danger, but we do not lose heart, we as God's people to increase their efforts and hope. For when it's time to risk for God's people, is the time for God to provide clear evidence of his power. "(Maranatha 194, 191)," The people of God need not worry. Satan can not exceed the allowed limit. God protects his people. " Ellen White wrote many articles that relate to the time when it will be enforced Sunday law. If you abstain from work on Sunday, we will devote Sunday missionary work for a short time disarm their enemies. By Sunday we will focus on the mission get mark of the beast. Matthew 24,15-22 - "When you see the holy place of the state, appalling abomination ', which spoke of the prophet Daniel (let the reader understand), then let those who are in Judea flee to the mountains. Who will be on the housetop not come down to take anything out of the house, and who in the field, whether or not return back to the jacket. Alas, in those days for pregnant and breastfeeding. Pray that you do not run in the winter or the sabbath day. At that time there is a great tribulation such as was not until the beginning of the world, and what never will be. If those days were shortened, would not save no one. Because of the elect those days will not be shortened. " In other words, when the U.S. a law that is bound to comply with a day of rest on Sunday, it is for us a sign to leave the cities and other preparation. There are many positive reasons that persecution brings. It actually turns back against Satan because a positive impact both on the persecuted, as well as to those witnesses. Third Expressions of God's grace - through suffering and persecution of faithful people at his shows his fame and character. Onlookers had to be clear that God was with the martyrs who were tortured and killed. Many instead of cursing and desperate cries when death prayed and sang and testified about the constant presence of God and great grace. 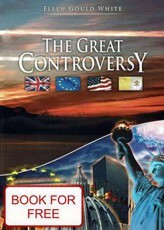 We recommend reading the book The Great Controversy by Ellen Gould White.